In the competition held by Japan’s Kyoto University, the Argentine group beat 42 other teams from 14 countries with the highest accuracy rate to predict system failures and malware presence in mobile applications. This Argentine team consisted of Adriana Baravalle, Andrés D’Ambrosio, Diego Tauziet, Pablo Albani, and Rafael Crescenzi –all students at UA Engineering School’s M.A. Program in Data Mining and Knowledge Management, who will be traveling to Kyoto this weekend to defend their work at the 23rd International Conference of Neuronal Information Processing (ICONIP 2016). Competing against “some of the greatest scholars and professionals in this field forced us to stay abreast of state-of-the-art developments,” noted Crescenzi and added, “As a result, we felt a great satisfaction when we managed to get very good results facing such contestants,” including teams from Japan, China, Korea, Malaysia, Australia, and the United States. 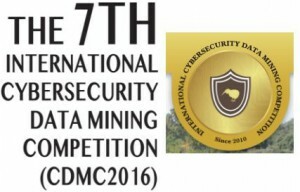 The competition, promoted by 11 agencies and universities –including Japan’s National Information and Communication Institute and New Zealand’s Unitec– and carried out every year since 2010, involved solving three problems using data mining tools. The first problem dealt with text mining, while the second one required predicting eight different types of system failures, and the third involved establishing which applications for Android were actually malware. In turn, every data mining task included three phases: data pre-processing, data model training, and final model testing to finalize predictions. Out of the 42 teams that entered the competition, the Argentine team achieved the greatest accuracy rate across all three models presented to solve every problem. “It was primarily a great opportunity to test what we have learned in theory and to challenge ourselves, facing other people in our field from around the world,” Albani chimed in. In a press release, Universidad Austral explained that the team already had some experience in this type of competitions: last year they came in second at the “Neo Santander Challenge”, an event held simultaneously in six countries, with 90 universities presenting 199 teams. In that occasion, UA’s team was only defeated by a team from UBA, which won the competition. In February and May this year, Crescenzi, Tauziet, and Albani participated in Germany’s Data Mining Cup, a competition that sought to optimize processing for retail products purchased online. They ranked among the top 10 teams in this 120-team contest. Then, in June and July, they ranked 25th among the 117 teams participating at France’s Data Science Game. Data Mining is the process used to extract meaningful information from large databases. This information reveals hidden factors, trends, and correlations that allow for predictions to solve problems, among other uses.